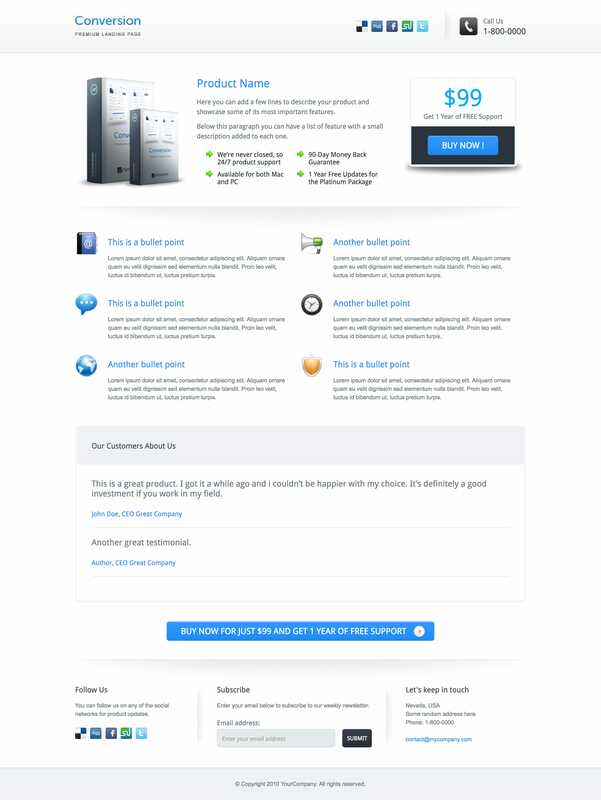 Conversion is a premium HTML landing page. Its great structure and clean, professional design as well as a variety of page templates allow it to fit to both transactional and reference landing pages. The main goal of a landing page is to convert visitors into customers, therefore the layout is specially designed and fitted with a variety of features that will make that happen. Coupled with a structure that’s highly customizable, this product will be perfect for your product, service or company presentation.